Meet Miquela Sousa, a Brazilian-American fashion influencer and music artist from Downey, California. Better known as Lil Miquela she has acquired 1.1 million Instagram followers organically since starting out two years ago. In that time she’s modelled clothes for brands including Prada, Chanel, Diesel and Moncler. She has released a Spotify top 10 track and launched her own clothing range. Lil Miquela has appeared on the magazine covers for Highsnobiety, and King Kong. This year she went to Coachella and watched Beyoncé. Like many successful Instagram fashion influencers Lil Miquela is in heavy demand with brands wanting to pay for access to her audience. 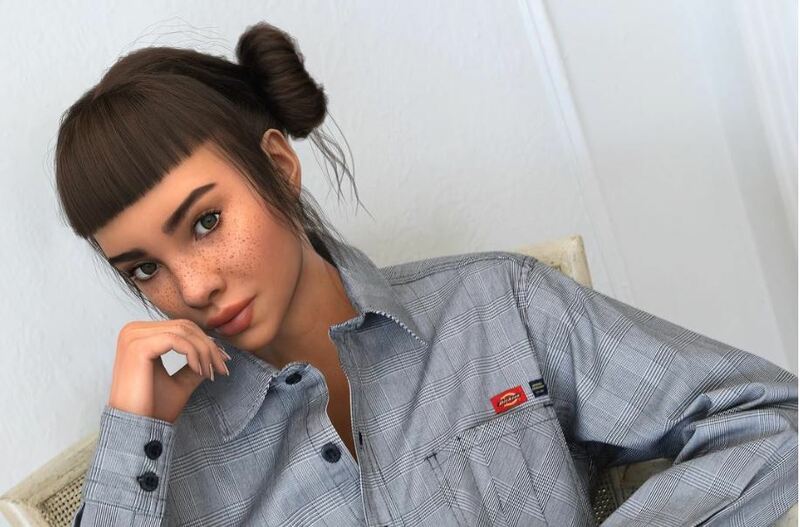 Unlike almost all other successful Instagram fashion influencers Lil Miquela is also a computer-generated image; an avatar influencer. Lil Miquela is the most well-known of the new rash of virtual influencers. Others include Shudu, Bermuda, and blawko22. Are these fake influencers as influential as their human counterparts? Investors in the company behind Lil Miquela think so. Sequoia Capital, Boxzgroup, SV Ange and others recently ploughed $6M of funding into Brud, the Los Angeles-based startup that specialises in “robotics, artificial intelligence and their applications to media businesses”. 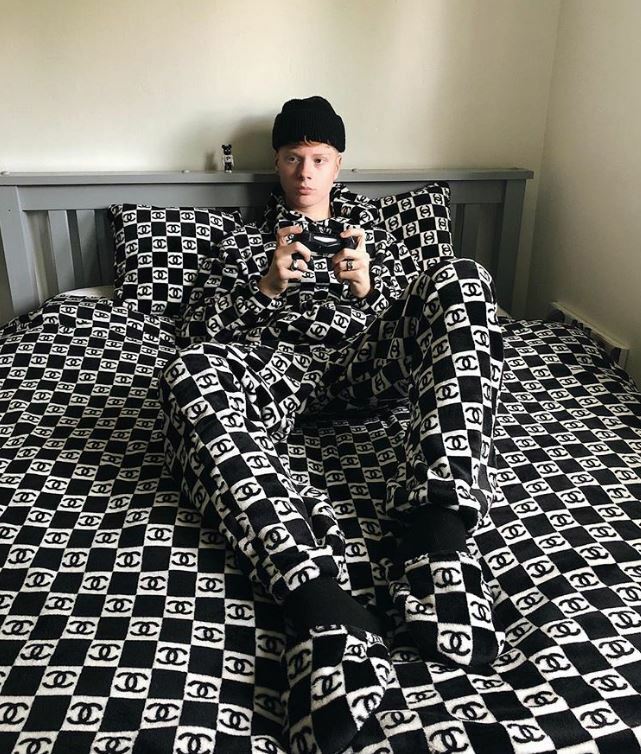 These investors see the growth potential in computer-generated creations becoming mainstream fashion influencers. Lil Miquela’s brand partnerships have already de-risked their investment by providing proof of concept. CGI influencers highlight influencer marketing issues. CGI influencers act as change catalysts bringing fresh pairs of eyes to jolt us out of our blind spot. The fashion vertical is, perhaps, the natural space to inhabit for these CGI influencers. They’ll always look Insta-immaculate - there’s no need for these CGI models to succumb to perpetual dieting, gruelling beauty regimes or cosmetic surgery. Avatar influencers help with the influencer activation process, too. 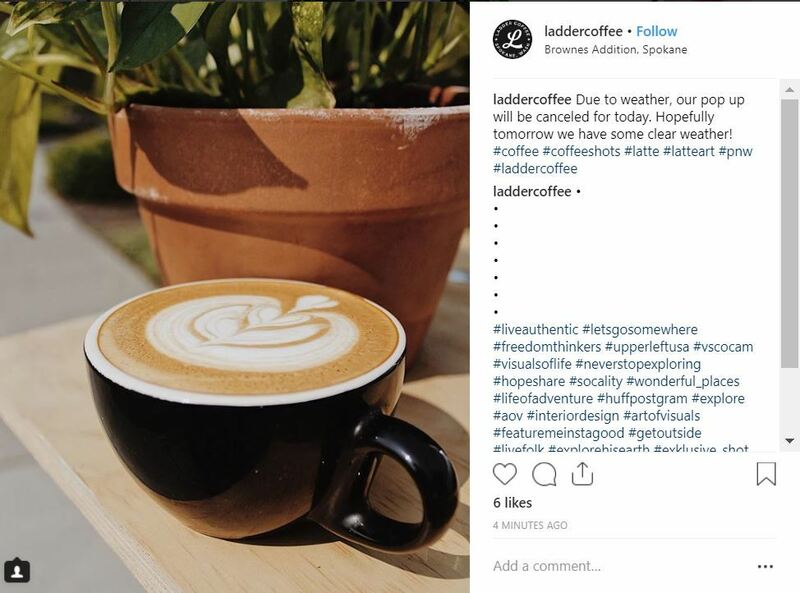 Influencer marketing effort is often front-loaded. It takes time - and therefore money - to identify the most appropriate influencer for your brand. Carefully identifying, selecting and briefing influencers. Vetting influencers through a thorough process of digital due diligence. Fretting that a CGI influencer will produce another Logan Paul Aokigahara forest moment and tarnish their brand by association. CGI influencers will always turn up on time for the creative shoot, too. The rise of the avatar influencer is only a natural extension within one corner of influencer marketing - merely the next iteration. Whilst new to the influencer marketing discipline avatars are not new within other creative industries. In music, for instance, Damon Albarn created virtual band Gorillaz twenty years ago in 1998. Hatsune Miku, a singing Japanese hologram was released more than a decade ago, in 2007. After Miku came Aimi Eguchi; eerily human-like but actually a CGI composite of several members of Tokyo's female pop supergroup AKB48. The secret to the success of Lil Miquela as an Instagram influencer is her portrayal of the rounded self and her relationship with her followers. Lil Miquela is more than a clothes horse. She shares stories of British school boys helping avert a suicide attempt. She writes letters to the US Congress in support of the transgender community and builds awareness within her following of the 1.4m transgender group living in her country. The URL in the bio on her Instagram feed links to black girls code - a charity aiming to increase the number of women of colour in the digital space. Stand this against British teenager Leo Mandella, aka Gully Guy Leo, for instance. He’s brilliant at what he does. And what he does is streetwear. His 712,000-plus Instagram followers aren’t specifically interested in him as a rounded personality. They do, however, want to see his vast collection of hyped streetwear. Distilling Gully Guy Leo to his constituent parts: he is an online streetwear mannequin. Given this context Lil Miquela becomes more ‘real’ than many human Instagram influencers. "I keep getting asked if I'm real or fake. But, I'm really here, I'm really talking to you. I'm really DMing people. I'm just trying to make some great art and make the world hurt less … . Can you name one person on Instagram who doesn't edit their photos?” Lil Miquela asked Shane Dawson in a rare 2017 telephone interview. If Nirvana for the Insta-famous is to become a clone-like version of Kylie Jenner replete with her 109m+ followers, ever-changing hair colour, skin tone and pneumatic lips then isn't the creation of a computer-generated self to help attain such near physical impossibility on a daily basis the next logical step? Not all agree. Some believe these CGI influencers undermine the existing model of promotion. Richard Wong is one such person. His AdWeek article titled: ‘Virtual Inﬂuencers Lead to Virtual Inauthenticity’ asserts that this trend of artificially creating personalities poses a massive potential risk to the future of culture and media. The question of authenticity - how can an avatar influencer try on a Prada outfit? ‘Twas ever thus. There is a long history within the fashion industry of touching up images so as to make the models appear perfect - from the antediluvian airbrush to 3-D graphics and Photoshop. Fashion is an industry which has always placed weight on the unattainable perfection of human form. Influential models have always commanded high incomes. There is forever a question mark hovering over the authenticity of many fashion influencers about their true affinity with the promoting brand. 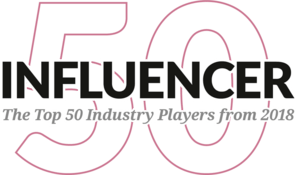 None of this appears to be negatively affecting the stellar growth of influencer marketing. Instagram is the influencer powerhouse platform currently generating $1 billion a year for the discipline. And, according to CampaignDeus, an independent influencer marketing benchmarking company, 35.5% of all posts published to the platform are within the fashion vertical - making it the most popular subject segment by far. Each Kylie Jenner Instagram post is worth more than $1m in advertising spend, according to social media insights firm D’Marie Analytics. In June the Council of Fashion Designers of America honoured Kylie’s big sister, Kim Kardashian with its first ever Influencer Award. You can’t fail to acknowledge Kardashian's stellar influence. Many argue, however, that Kardashian often promotes an unattainable (and, at times, even unhealthy) image and have criticised the council for its choice. In 2018 what does it really mean to be authentic? As social beings humans have always sought to connect with like-minded people. We've done so in cafes and bars; in offices and through sporting events. Social media has scaled this; made it at once global and permanent. 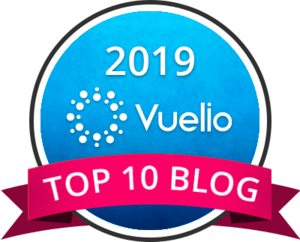 We started sharing our opinions with followers in their thousands - way beyond ‘Dunbar's number’ which proposes that humans can comfortably maintain only around 150 stable relationships. In a bid to become ever more popular we created content designed for instant gratification; content to be shared and liked rather than to be pondered upon and explored. Authenticity as performance art: Instagram isn’t us. It’s just a digital version of us. CGI influencers highlight influencer marketing issues. CGI influencers act as change catalysts bringing fresh pairs of eyes to jolt us out of our blind spot. Almost decade ago (August 2009), former Financial Times journalist, Tom Foremski, implored every company “to become a media company – because every company needs to master the technologies of publishing to their customers, staff, neighbo[u]rs, and to raise their media profile against their competitors”. His idea has since atomised. Today we’re all creative directors. Thanks to smartphones we’re now able to generate studio-quality content and publish it at scale sharing with our friends, family and and anyone else with our world view. The word “authenticity” has lost its meaning; mutated and commodified into its opposite. On the flipside to authenticity, what does it mean to be fake? United States president, Donald Trump's view of fake news appears to be any form of news which doesn't conform to his world view irrespective of the legacy of the masthead in fact-checking articles. In May the UK’s The Evening Standard newspaper faced allegations that it has been offering favourable coverage to companies that are willing to pay large sums of money. ‘Post truth’ became Oxford Dictionaries Word of the Year 2016 describing it as an adjective ‘relating to or denoting circumstances in which objective facts are less influential in shaping public opinion than appeals to emotion and personal belief’. Seen through this lens Lil Miquela and her other CGI influencers become far more than mannequins for high-fashion houses. They are a mirror reflecting today’s society and questioning what it means to be human in a digitized world. “Habitualization devours work, clothes, furniture, one's wife, and the fear of war”. So said Soviet literary theorist Victor Shklovsky in his 1917 essay ‘Art as Technique’. To illustrate his meaning Shklovsky compared the experience of holding a pen for the first time with holding one for 10,000th time. We don’t consciously think about holding the pen. That makes sense. It would drive us bonkers thinking about the act of holding a pen on top of articulating our thoughts through writing. Instagram’s Insta-famous images have become so ingrained we no longer see them for the hyper reality they represent. CGI influencers act as change catalysts bringing fresh pairs of eyes to jolt us out of our blind spot. A successful influencer listens to their audience. Learns what they like and what they don’t care for and then tailors future content accordingly. A successful influencer is one who identifies with their followers in a personal way - and vice versa. There will always be an innate need for human connection no matter how unhuman the connection is. CGI influencers can and do provide this connection. Dolls play an important role for society encapsulating who we are and passing that on in representational form to the next generation. The Q2 2018 edition of Influence magazine highlighted this theme in its cover story: ‘Barbie Breaks the Mould’. Capturing the zeitgeist, Barbie also became an Instagram influencer in 2016 when she was paid to attend and produce sponsored content around a beauty conference on behalf of Dyson’s Supersonic hairdryer. Similarly, before Pinocchio got all ‘Disney-ied up’ the story of the woodcarver's puppet who would-be-a-boy was an allegory for Italy during the industrial revolution. The story was a warning. Throughout the story of Pinocchio, Carlo Collodi, its author, chastises Pinocchio for his lack of moral fibre, his persistent rejection of responsibility and his desire for fun. Ultimately it was Pinocchio's decision to provide for his father and devote himself to work hard, being good and studying that transformed him into a real boy with modern comfort. Is Lil Miquela performance art? A Cassandra call warning of a broken social media age miss-used for over a decade? A PR stunt? A machine for making money out of the influencer marketing boom? She is, of course, a little of each. For now Miquela is an Instagram influencer who engages tirelessly with her following adapting content to their whims. True influence is the ability to change behaviours. Increasingly digital influence is how someone (or something) trades the currency of attention for a specific audience at a specific time. Lil Miquela is achieving both of these. She represents the current phase in the continually shifting sands of how brands promote and connect with their stakeholders. A version of this article first appeared in the current edition of Influence magazine (Q3 2018) published on behalf of the Chartered Institute of Public Relations last week. The article was submitted to the CIPR on 07 June, 2018.